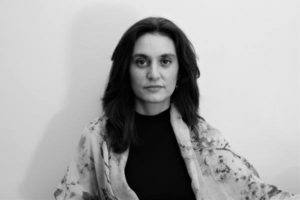 Dr. Ana Fontecha is a complete musician that has finished three music degrees, in Piano, Chamber Music and Music Theory, a postgraduate in Musicology and another postgraduate in Composition at the King’s College London, and a PhD in Music Composition at The University of York. She has been a lecturer in several training courses and has given papers and seminars about her own music and contemporary music in prestigious universities and conservatoires including King’s College London, National Conservatoire of Peru, Pontifical Catholic University of Peru, Autonomous University of Madrid, and several other venues. Her research interest lies in the field of music analysis, especially of 20th and 21st Centuries music. As a composer her works have been performed in Spain, UK and Mexico by notable performers and ensembles such as the Spanish National Prize of Music Diego Fernández Magdaleno, the internationally renowned Indonesian pianist Ananda Sukarlan, Chroma Dúo, Jaime Salas, José Manuel Sáiz, Rebeca Lluveras, Albert Nieto, Diego Gómez de Segura, Ensemble Chimera or Alicia Burgueño among others, and recorded by RNE. She has received commissions from individual performers and important festivals, some of which are Women compose 2014 and 13th Chamber Music Competition Ecoparque de Trasmiera. She has also written arrangements of Basque music for the Garaiz Ensemble. She has wide experience teaching in conservatoires, schools and private lessons. Her passion for music education has led her to write compositions for music student books for the Cantabile Musical Association. She creates her own music material which has proven to help the students to maximize their skills and to nourish the love for music. She is now involved in the project High and Low, a series of piano books for preschoolers.